Sent: Friday, 23 November 2012 10:08 a.m.
You would not be re litigating anything. There is a huge difference between a defamation claim and the claim of corruption. Why does it take 7 years to bring corruption to the attention of council ? The court has been used to pervert the course of justice and as I have told you there is a proceeding currently before the court for obtaining a judgement by fraud. You appear to have a very back to front way of dealing with corruption . I would presume that you have assessed the information which I have sent you and that you are now actively condoning the use of council premises for private pecuniary gain by council employees and that you are condoning council managers contracting to themselves. You are now allowing your office to be used for the concealment of crime and I will be making a complaint to the law society accordingly. You are making me out to vexatious based on the uncorroborated evidence of Mr Wells who was compelled to deceive the court because of the implications the truth had on his career. You are condoning the use of council facilities fraudulently and you are not acting in the interest of the administration of justice . Questioning corruption has cost me an obscene amount of money. Do you honestly think that any one in their right mind will ever question corruption In council again. Those who are employed are quietly disposed of by confidentiality clauses , those who are not employed like myself are hammered into the ground and totally annihilated through persons like yourself who will not even look at the most basic of documents and asses that there is something terribly wrong. Wendy attack has always been the best form of defence and by you attacking my character and reputation using judgements which are before the court for having been obtained by fraud are denigrating me You are attacking me because you cannot attack the issue . the issue is that council resources have been used fraudulently and you are ignoring it. You are doing everything in your power to get me out of the picture. You know that through your actions Corruption will flourish in Auckland city because you are condoning it. Just let the rate payers pay more so more people can gain privately. This is a well-documented and researched example of corruption it is under your nose and you don’t even want to learn from it.. that is not just ignorance it goes to negligence. A lawyer with integrity would look at the documents I have brought to your attention and would act to ensure that councillors are briefed on the perpetration of corruption in council learning from the past prevents expensive mistakes in the future. How much more is going on and how much more are you condoning? What is in it for You Wendy? Surely your objective should be to protect the councils assets and resources and ensure that they are being used for a proper purpose. You are not doing that Wendy and it appears to me that you are failing the people of Auckland. I do have to wonder who is paying your wages , strangely enough I thought it was the rate payers not employees within council who have your loyalty to ensure that corruption is concealed. Sent: Friday, 23 November 2012 9:10 a.m. I refer to my email correspondence of yesterday and confirm that if you wish to complain about the responses you have received to your various LGOIMA requests of the past weeks, you have the right to complain to the Ombudsman. I have read both of the High Court and District Court judgments (attached) and it would be inappropriate for me to engage in any re-litigation of matters that have been heard and determined by the courts. As per below, I am satisfied that over the past several years you have received all of the information held by the former WCC in relation to AWINZ. No new information relating to AWINZ has come into existence in Auckland Council. Given the very strong findings in both the District Court and High Court judgments, your continued requests are vexatious and are accordingly, declined. Are you aware that the decision which you are referring to was obtained by fraud. It is currently before the court to set aside the judgement . Whistle-blowers have historically been targets for defamation claims. In any case it has nothing to do with the complaint that the council premises , staff and infrastructure were being used by the fictional organisation AWINZ which was in reality a private enterprise run by the manager of dog control . a form of corruption called public office for private pecuniary advantage. As a lawyer you would be shocked at how the defamation matter was won. It is extremely difficult to win if they use false claim to create costs against you, strike out your defence of truth and honest opinion , skip the formal proof hearing, use your affidavit in mitigation of damages against you and then they commit perjury in their uncorroborated evidence. I was in the LCRO with regards to the conduct of the lawyers concerned on Tuesday. They were exonerated by the law society when Neil Wells provided the law society with fabricated evidence- relying on a council employee to manufacture a minute dated 2006 in 2011 when overwhelming independent evidence exists that the 2006 minute had been lost in a computer crash . In the meantime all this would have been averted if the council lawyer at the time Denis Sheard had actually gone and spoken to the dog control officers and questioned why Mr Wells did not declare his conflict of inters in his application for the position of manager animal welfare. Instead three council employees were dismissed because they were seen as a threat to exposing this venture . Animal welfare institute did not exist it is not a legal entity in its own right, council did not have a copy of any evidence of its existence. If that doesn’t have alarms ringing then I don’t know what will ,, if you can condone such evidence without investigation then I have serious concerns about your integrity. Didovich is intrinsically entwined in this whole matter , he paid for legal opinions to facilitate the setting up of AWINZ , he paid Wells to set up AWINZ and later became a trustee of a trust which was used to cover the whole thing up. Yet you continue to attack me ! Mr Wells re branded the council facilities so that the logos of the council pound and AWINZ were identical. these Logo’s are still on the council premises and vehicles. Wendy if you can in all fairness ignore all the evidence that I have put before you then you are either incompetent or corrupt yourself. and that such action then does not warrant investigation . You simply prefer to shoot the messenger. Wendy as an in house solicitor I am advising you that your obligations are to the rule of law and the administration of justice You have a legal obligation not to use your office for fraud. Section 66 Of the crimes act parties to the offence must strike close to the heart. If you actively cover up the corruption and the fraud then you are not only in breach of your rules of ethical conduct you will also become an accessory after the fact. I look forward to an invitation from you to meet with you so that I can place all the evidence I have before you . Ordinary people get it they understand they are appalled. The reasons I have asked for more information is that under the public records act your records should be available and archived. The fact that the records are missing on such a contentious matter is another red flag which you should be noting. The council has not once investigated this matter had the council acted properly in the beginning I could have been spared many years of character assassination and a lot of expense. I am able to come in and see you tomorrow or next week and I will personally place the documents in front of you which will illustrate that there was a serious issue in Waitakere dog and stock control. Please let me know what time suits you and I will be there. The council cannot condone corruption – If this corruption occurred and you have allowed a blind eye to be turned then what else is being ignored? Sent: Thursday, 22 November 2012 3:29 p.m.
1. I did not respond to a LGOIMA request from you within an hour. You made the request in question on 24 October 2012, and I responded on 2 November. On 5 November I confirmed that response. My response was made in good faith and I am satisfied that the WCC documents (dating back to 2000 and 2008) cannot now be located and possibly never existed. In one of your emails and/or your request you alleged that the information was “actively concealed” from Waitakere City Councillors and Council officers at the time so its not surprising that it cannot now be located, or its existence confirmed. 2. My response was given in good faith. 3. The information you have listed below is not the same information that you requested on 24 October. Accordingly, it has been treated and considered as a fresh request and it is refused pursuant to section 17(h) of the Local Government Official Information and Meetings Act 1987, because it is vexatious. 4. This response to your most recent request is similarly made in good faith and because I am satisfied on the basis of my inquiries that all of the information held by the former Waitakere City Council in relation to AWINZ has been provided to you in response to the many, many requests for information you have made to both Auckland Council and Waitakere City Council since approximately 2006. I am also mindful of the Decisions of the District Court and High Court (attached) and the findings and orders made in those judgments, and your apparent refusal to observe due process either in the context of the court orders or the LGOIMA process. 5. As always, you have the right by way of a complaint to an Ombudsman under section 27(3) of the LGOIMA to seek an investigation and review of this refusal. Do MAF’s Lawyers support the misleading of ministers? He made false statements as to the “ organisations ”existence and No one checked to see if it did exist. In this case Mr wells self interest was extreme 10 you will note that the trust fact or became 3. The correspondence I have shows that Mr wells had great influence within MAF and an open door with the minister . AWINZ eventually received approved status and Mr Wells operated this fictional organisation from Waitakere city council premises using council staff and infrastructure without Councils knowledge or consent. While MAF knew AWINZ existed on council premises, Council denied that it existed there. When Didovich resigned from council he became a trustee of a trust set up to cover up the fact that AWINZ did not exist. This was necessary because I alerted MAF to the fact that AWINZ had never been registered under the charitable trust act, that means it did not have body corporate status despite Mr wells repeated assurances. As a lawyer Mark I am advising you that your legal practice and role of in house lawyer at MAF is being misinformed and deceived and that the responses you are being asked to give are to conceal fraud. As an officer of the court you have obligations to the rule of law and the administration of justice . Legally you cannot be involved in the concealment of corruption and Fraud and I hereby wish to alert you to the fact that those instructing you within MAF are using you to cover up this public fraud. In six years Nearly 7years insiders in MAF have covered this up. It will only take a cursory look at this from you to realise that something is very wrong you can then take a complaint to the police. The police will not take a complaint from me as they expect the Govt dept to act. You have to ask yourself how can a trust make an application for approved status using an unsigned application of a trust three months prior to its documented formation . And how do trustees of an unincorporated trust which does not meet and have never signed a document relating to the approved status become responsible for the accountability of it? Hence my question with regards to who represented AWINZ at the various times. Basically no one knew. The only one in reality was Mr wells using a pseudonym. There are those within MAF who know the truth and seek to cover this up, they have withheld crucial information for years. Mark I sincerely hope that you are not going to condone the deception and fraud of AWINZ. I just need one honest person to do the decent thing. If lawyers act according to the rule of Law I would not have been hauled through the court for these past 6 years on this fictional claim of defamation. I simply pointed out that AWINZ did not exist MAF should have investigated , it did not . IF I am dealing with a lawyer with integrity you will be appalled to hear that questioning corruption has cost me over $200,000 and Mr Wells still has designs to make me pay more. The matter is currently before the court for obtaining a judgement by fraud . In the end the truth will come out. No one pays such an obscene sum of money for exposing corruption and stays quite. I will be making this an open letter and will be posting it on Transparency.net.nz along with any reply you wish to submit. I am happy to talk to you and provide all the evidence you need. You only need to look at the deletions in the documents which have been supplied for they hold the answer. I have many more examples Basically there are those within MAF who are actively concealing corruption which they were negligent enough to have facilitated. The reasons that Government departments have lawyers is to ensure that the organisation acts with integrity. I hope that you can step in and look at this and advise those who are getting you to respond to me. You have a duty to investigate this is in the public interest. Sent: Thursday, 8 November 2012 4:25 p.m. I made a LGOIMA request from your solicitor Wendy Brandon. It is not for the counsel for council to conceal corruption . She has a duty to ensure transparency and accountability and as a lawyer her honesty and therefore her word can be assured. What transpires in applying her response to the following request brings about serious issues of concern and I ask the council to immediately investigate this in the interest of the public. Documents which show that council has investigated the use of the council facilities , staff and resources by AWINZ. Documents and policies which allow the managers of divisions such as dog and stock control to independently contract / sign agreements to third parties and the processes which need to be followed. E.g. Mr Didovich writes on behalf of Waitakere city council , what authority did he have to give these assurances on behalf of council? If the information does not exist this means that the council has not got any policies for council managers and it appears to be a free for all , it must be of concern then that a council manager signed an agreement which allowed a third party to use the councils facilities, staff and vehicles for free. This would not be a wise use of councils funds. If the information does not exist this means that Mr Wells misled the minister , The council now being aware of this has a duty to ensure that the minister becomes aware that the council had no knowledge with regards to the AWINZ matter and that the parties who corresponded with him n th guise of council had no mandate to do so. If the information does not exist this means that the council manager involved engaged Kensington swan in his professional capacity and the council should make urgent enquiries as to who did pay for the services. Why council continued to push for AWINZ to be approved when crown law said that it was ultra Vires and any minutes of any council meetings which gave a mandate for this use of council funds.- plus any documentation which considered the cost benefit analysis of this action. If the information does not exist this means that the council was not involved in the animal welfare aspects of the dog control section and that tis now calls for an urgent investigation in view of the statements from MAF which recorded that AWINZ did operate from council premises. It therefore appears that Lesley Wear never received a response , I would however have thought that council might have known who she was since she was employed by council, perhaps this was overlooked by Ms Brandon, after all it was a lot of information that she got through in one hour. In an email Neil Wells states “while that could have been answered immediately by the council legal section , council decided to obtain independent legal opinion from Kensington Swann that opinion has now come to hand this week and confirms the previous legal opinion sent to MAF policy in past years ” Please provide all council documents which supports this statement and who in Waitakere city was waiting for directions as to where the Kensington swan letter should be sent to . If the information does not exist this means that the council lawyer was circumvented and that the legal opinion which was obtained was not one which the council had requested or authorised , but had instead been requested by Mr Wells for his own purposes and apparently paid for by council. The legal opinion swayed the minister as he believed that the legal opinion came at the request of council. If this is not the case then it is important and the minister should be advised immediately that he has been misled. All documents after 2000 relating to animal welfare were not made available to me, I request that these be made available for my perusal and copies as required arising from that. Corruption is a serious matter Doug. This matter has been swept under the carpet for the past 6 ½ years , Your counsel in looking for this information and discovering that it is all missing must be seeing the red flags of fraud. May I suggest that the council calls in the police or serious fraud office. I can assist I have a chronology of documents to simplify the matter, I am a licenced private investigator and can tell you that those documents disclose the fact that council premises were being used by a fictitious organisation called Animal welfare institute of New Zealand and that Mr Didovich and Mr Wells colluded together to use the council resources for private pecuniary gain. My summary is below, the hyperlinks open the documents shown . This letter will also be on Transparency.net.nz so that those who are following this matter can be kept in the loop. I would imagine that in view of the information which Ms Brandon has given me that it would be negligent of council not to investigate. I am certain that this is the tip of the ice berg in council corruption and you will no doubt uncover more and thereby save rate payers millions. As ever I am happy to assist. Sent: Wednesday, 7 November 2012 2:53 p.m.
As advised in my reply to your most recent requests for information, if you wish to make a complaint about Council’s response, you must direct that complaint to the Office of the Ombudsman. However, I confirm that the information you requested cannot be located and/or does not exist. As to the remaining allegations, Council must obey the law. There is currently an injunction in place prohibiting you from making any statements or allegations “reviling or denigrating Mr Wells”. This latest round of emails and other correspondence contain statements that clearly fall within the terms of the orders being the same or similar to those that gave rise to the granting of injunctive relief. Unless or until the injunction is dismissed, I am unable to take any further action. Open letter and LGOIMA to Mayor Brown with regards to Corruption apparently being condoned by counsel for Council . The fundamental obligations of a lawyer are to the rule of law and as such she is employed in a public capacity and is all that stands between the exposure and concealment of corruption. 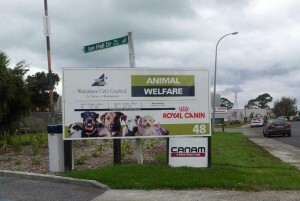 AWINZ is an “organisation” run by the then dog and stock control manager and existed on council premises used the council staff and vehicles emblazoned with identical logos as used by AWINZ the “ organisation “ . Effectively this independently proves my allegations of Public office for private pecuniary gain . Counsel has responded to me and attacked me( if you can’t attack the issue it appears that you attack the person ) , she does not get the point that the issue I am raising has nothing to do with any court action but has everything to do with corruption within council. Previous counsel for Waitakere Denis Sheard denied emphatically that AWINZ existed on the premises. The independent evidence which I have provided to council on the 21st October shows that this was the case. Why was the council lawyer was not involved in the drafting and supervision of the signing of the MOU with AWINZ . And was the council aware that Mr Didovich had used council funds to pay Mr Wells to set up the trust ( this is one of many invoices . And that Mr Didovich collected and witnessed the signatures of the alleged trustees of the 2000 AWINZ trust while he was on leave . Mr Didovich also sought a legal opinion, which circumvented the councils solicitors and obtained the Kensington swan opinion. When crown law opposed the involvement of council in the animal welfare work due to it being ultra vires a second legal opinion was sought. A draft was sent back to Didovich and then the final version came back which was a decision the minister relied upon… this final document had information which indicates significant input from Mr Wells with his personal knowledge of the event on the select committee. Council should be asking why was the council lawyer left out of the loop ? What was the costing estimate how much did the legal opinion cost? And how was it paid, who authorised it. I sincerely believe that Council is keeping the lid on this matter because by exposing it – it would open a can of worms. I wish to add that the Ms Brandon is not employed to conceal corruption and she has an obligation to facilitate transparency and accountability , documents which I have obtained in the past show that as much as 40% of the work for animal welfare services in Waitakere was being Animal welfare work which according to the documents I have was ultra Vires for council . Mr Wells appears to have been able to control and influence council and derive a personal income from animal welfare prosecutions undertaken as a result the involvement of council officers working in council vehicles paid by the public. the evidence is shown in the chronology this is Public office for private pecuniary income a recognised form of corruption . He effectively ran an SPCA type organisation using council staff resources and vehicles. All income and no expense. And it appears that Wendy Brandon is condoning this . No wonder our rates are sky high. Truth is never defamatory I am not denigrating Mr wells I am stating fact supported by the 5000 or so documents on my chronology . I have paid well over $300,000 because I did some pro bono work for a council officer who questioned why she was volunteering her council paid time to AWINZ. Council responded by sacking her and then taking her back to the ERA on allegations of breach of confidentiality. Others have been sacked and silenced as well , No wonder council staff do not speak up speak up and you lose your job. Council should have investigated. It’s not too late they can still investigate I have done the hard work not just for free but at a personal cost which is far too high. It is through the neglect of council that I have had to endure 6 ½ years of litigation . Is Council so irresponsible that it cannot see corruption even when it is pointed out to them? Is placing gaging orders over staff who speak out in concern a responsible thing to do ?How does that fit in with transparency???? By doing nothing Auckland council is proving that it condones corruption, this is a well-researched matter which proves how corruption occurs in council . Auckland council by ignoring this shows that it prefers to attack the messenger rather than look out for the interest of the public. we pay the rates we should have accountability . I look forward to a civil response and the information I have requested supplied. Sent: Wednesday, 7 November 2012 3:31 p.m.
You are not the subject of the injunction and I have not said anything that is reviling or denigrating Mr Wells. I am stating fact as sourced from the documents attached to the chronology. I must complement you on your efficiency to be able to reply to my LGOIMA in such a short time. It took you less than an hour to deal with my questions and you could not even tell me who Lesley Wear was this just proves that you have totally fobbed me off. To me this means that Council supports corruption and goes out of its way to support/ conceal corrupt practices. I would have hoped that any of the councillors who have been copied in my have taken note and seek accountability as you are the representative for the rate payers this is why our rates are so high you allow parasites to leach off our resources. Sent: Wednesday, 7 November 2012 3:57 p.m.
Make a complaint to the Ombudsman if you wish. While I am not subject to the injunction, you are. As to your other comments, they are duly noted. I am not corresponding with you any further on this matter. Sent: Wednesday, 7 November 2012 4:49 p.m.
(b) To promote the social, economic, environmental, and cultural well-being of communities, in the present and for the future. (b) Perform the duties, and exercise the rights, conferred on it by or under this Act and any other enactment. 14 Principles relating to local authorities I highlight in particular section 1(a) (i) conduct its business in an open, transparent, and democratically accountable manner; and (ii) give effect to its identified priorities and desired outcomes in an efficient and effective manner. I request that you reconsider your response as it appears that as a lawyer you are not acting in accordance with the rule of law. You are actually facilitating the concealment of corruption and a public fraud and I see your actions as negligent. Could you please provide me with an explanation as to why you believe that you are acting in a lawful manner and according to the rule of law. in an absence of an explanation I will make a complaint to the law society with regards to your conduct. Corruption = Monopoly + discretion – Accountability I seek accountability for your decision . Sent: Wednesday, 24 October 2012 4:22 p.m. Thank you for your request, which has been forwarded to staff who handle LGOIMA enquiries and who will respond to you in terms of the provisions in LGOIMA. Briefly, the organisation is aware that the general allegations you make have been heard by a court and determined by the court to be defamatory. Sent: Wednesday, 24 October 2012 5:06 p.m. The facts of the case were never heard and any one can win at defamation in circumstances such as my case. The court never considered the alleged defamatory statements at all and not in context. What occurred is that Mr Wells wrote the animal welfare bill with specific intent of creating the possibility for approved organisations. He was also adviser to the select committee and used his privileged knowledge to circumvent the intention of the law. 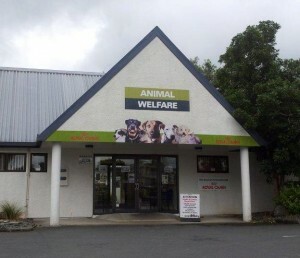 He made an application in the name of the Animal Welfare Institute of New Zealand an fictitious organisation. He later set up a trust to cover it up but any one can tell you that a trust set up after an application was made cannot be the applicant. The former manager of dog control was in on it and later became a trustee of the cover up trust. I have a ton of evidence but no one wants to see it because Wells misled the court and he appears to have many connections in government and council alike. While he was able to freely direct council staff and ministry staff to obstruct me and deny me information he had open access to staff and resources to do as he pleased and make a personal income. Could you please put me down for the next meeting or make an appointment for me to produce the evidence to a Councillor involved in issues of corruption. Sent: Tuesday, 23 October 2012 3:38 p.m. Your request to speak in Public Input at the Governing Body meeting on Thursday, 25 October 2012 has been declined by the Mayor under Standing Order 3.21.3 which states that Public Input is not to be used to speak to a matter that has already been considered and determined. I wish to speak to the council on the fact that Whistle-blowers are totally ignored . This is a serious matter of council corruption and it is being ignored. What I wish to present is new evidence which shows conclusively that the councils own internal investigations and reporting mechanisms are not effective against corruption. Here we have a classic case of public office for private pecuniary gain and the council chooses to ignore it. As far as I am aware this matter has never been formally brought before councillors and has been dealt with only through administrative staff. I request this under urgency provisions as I wish to speak to the councillors on Thursday, they should not be kept in the dark. Sent: Sunday, 21 October 2012 10:44 a.m.
– 10AM RECEPTION LOUNGE, AUCKLAND TOWN HALL. With Corruption issues on the agenda for the meeting above, I wish to seek speaking rights as a whistle-blower on council corruption. I have documents which I wish to present to show how council is ineffective in dealing with whistle-blowers and consequently corruption continues to flourish and rate payers dollars are misappropriated. page 13 AWINZ inspectors use WCC database. Page 14 the inspectors vehicle was inspected.. I know that AWINZ operated from the premises as I was first approached by dog control officers who were concerned that they had to volunteer their council paid time to this organisation. What made the matter worse was that the organisation existed only as a pseudonym for the council manager who ran it. Council lawyers and council management have continually turned a blind eye to this matter. I have evidence of other instances of possible corruption which without proper attention will seek to dilute the financial resources of council .